For over 20 years, Master’s Hotel Ehden has been offering the finest service in all your special occasions, whether it is a business trip, family vacation, honeymoon and more. Starting in 1990 with only ten rooms and a family managed business, we have grown to become a forty room’s hotel and resort with many services and facilities. We hope to continue to reach your expectation and on winning your trust and most of all make us your choice for a hotel and resort. The hotel is a mountain hotel by excellence, surrounded by the beautiful nature, close to downtown Ehden but away from the fuss. Located 1500 metres above the sea level and on top of the mountains, Master’s Hotel – Ehden is situated in Ehden overlooking the North Coast. It offers an outdoor pool, a tennis court and free Wi-Fi in public areas. All rooms and suites at Master’s Hotel – Ehden feature a balcony with a sea view. All is equipped with a flat-screen TV, a fridge and a telephone. Some suites include a living room with sofa. A shower is fitted in the bathroom. The hotel’s restaurant provides a wide array of fine dining establishments with views of the North Coast in a relaxing ambiance. 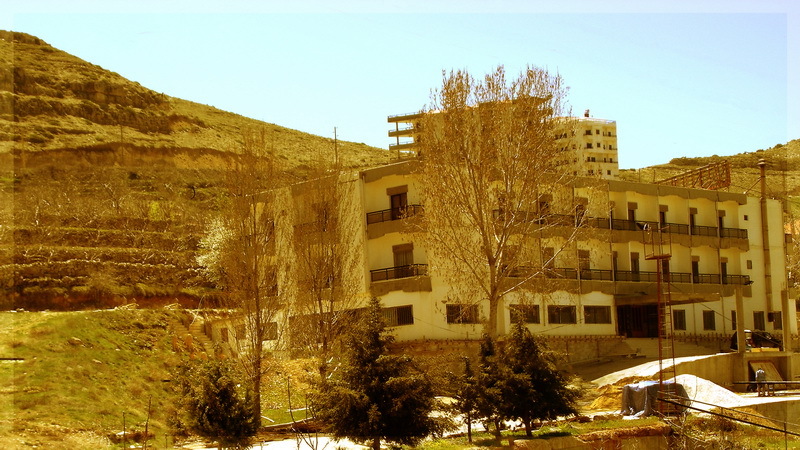 Master’s Hotel – Ehden is only 2 km away from Ehden’s main ecotourism attraction and the Horsh Ehden Nature Reserve. Al Arz is only 30 minutes by car. Free private parking is possible on site.